Analysts at Goldman Sachs upgraded Total System Services, Inc. (NYSE: TSS) from Neutral to Buy. Total System shares fell 0.90 percent to close at $98.77 on Tuesday. Drexel Hamilton upgraded Vectrus Inc (NYSE: VEC) from Hold to Buy. Vectrus shares fell 7.77 percent to close at $35.98 on Tuesday. JP Morgan upgraded QUALCOMM, Inc. (NASDAQ: QCOM) from Neutral to Overweight. Qualcomm shares rose 9.2 percent to $76.93 in pre-market trading. Stifel Nicolaus upgraded Mack Cali Realty Corp (NYSE: CLI) from Hold to Buy. Mack-Cali Realty shares fell 3.16 percent to close at $21.73 on Tuesday. Barclays upgraded Omnicom Group Inc. (NYSE: OMC) from Underweight to Equal-Weight. Omnicom shares climbed 5.66 percent to close at $81.25 on Tuesday. Analysts at Keefe Bruyette & Woods upgraded Jones Lang LaSalle Inc (NYSE: JLL) from Market Perform to Outperform. Jones Lang LaSalle shares rose 0.3 percent to $152.47 in pre-market trading. 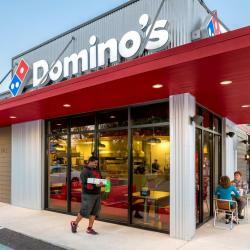 Morgan Stanley upgraded Domino's Pizza, Inc. (NYSE: DPZ) from Equal-Weight to Overweight. Domino's shares rose 2.2 percent to $261.00 in pre-market trading. Cantor Fitzgerald upgraded HMS Holdings Corp (NASDAQ: HMSY) from Neutral to Overweight. HMS Holdings shares rose 2.4 percent to $29.40 in pre-market trading. Susquehanna downgraded Anadarko Petroleum Corporation (NYSE: APC) from Positive to Neutral. Anadarko Petroleum shares fell 0.5 percent to $63.30 in pre-market trading. Macquarie downgraded Skyworks Solutions Inc (NASDAQ: SWKS) from Outperform to Neutral. Skyworks shares fell 0.8 percent to $92.80 in pre-market trading. Exane BNP Paribas downgraded CEVA, Inc. (NASDAQ: CEVA) from Outperform to Neutral. CEVA shares closed at $27.78 on Tuesday. Citigroup downgraded Noah Holdings Limited (NYSE: NOAH) from Buy to Neutral. Noah Holdings shares dropped 6.99 percent to close at $54.17 on Tuesday. Wells Fargo downgraded Smart & Final Stores Inc (NYSE: SFS) from Outperform to Market Perform. Smart & Final Stores shares rose 20.2 percent to $6.48 in pre-market trading. Jefferies downgraded Bank of America Corp (NYSE: BAC) from Buy to Hold. Bank of America shares fell 0.3 percent to $29.80 in pre-market trading. Longbow Research downgraded Texas Instruments Incorporated (NASDAQ: TXN) from Buy to Neutral. Texas Instruments shares fell 0.2 percent to $116.20 in pre-market trading. Susquehanna downgraded Lennar Corporation (NYSE: LEN) from Positive to Neutral. Lennar shares closed at $51.40 on Tuesday. Raymond James downgraded Comerica Incorporated (NYSE: CMA) from Strong Buy to Outperform. Comerica shares fell 0.7 percent to $78.80 in pre-market trading. Longbow Research downgraded Shake Shack Inc (NYSE: SHAK) from Buy to Neutral. Shake Shack shares fell 1.2 percent to $58.80 in pre-market trading. KeyBanc initiated coverage on Paylocity Holding Corp (NASDAQ: PCTY) with an Overweight rating. The price target for Paylocity is set to $104. Paylocity shares closed at $90.27 on Tuesday. Analysts at Oppenheimer initiated coverage on Organogenesis Holdings Inc (NASDAQ: ORGO) with an Outperform rating. The price target for Organogenesis is set to $11. Organogenesis closed at $7.90 on Tuesday. Stephens & Co. initiated coverage on Teladoc Health Inc (NYSE: TDOC) with an Overweight rating. The price target for Teladoc Health is set to $75. Teladoc Health shares closed at $52.55 on Tuesday. Needham initiated coverage on Nanometrics Incorporated (NASDAQ: NANO) with a Buy rating. Nanometrics shares closed at $31.95 on Tuesday. Analysts at Raymond James initiated coverage on Solar Capital Ltd. (NASDAQ: SLRC) with an Outperform rating. The price target for Solar Capital is set to $22.50. Solar Capital shares closed at $21.34 on Tuesday. Stifel Nicolaus initiated coverage on Principia Biopharma Inc (NASDAQ: PRNB) with a Buy rating. The price target for Principia Biopharma is set to $45. Principia Biopharma shares closed at $29.11 on Tuesday. RBC Capital initiated coverage on ASGN Inc (NYSE: ASGN) with an Outperform rating. ASGN shares closed at $67.57 on Tuesday. Deutsche Bank initiated coverage on Childrens Place Inc (NASDAQ: PLCE) with a Hold rating. The price target for Childrens Place is set to $103. Childrens Place shares closed at $107.95 on Tuesday. Analysts at Needham initiated coverage on Nova Measuring Instruments Ltd. (NASDAQ: NVMI) with a Buy rating. Nova Measuring Instruments shares closed at $28.49 on Tuesday. Analysts at Bank of America initiated coverage on Performance Food Group Co (NYSE: PFGC) with Buy rating. Performance Food shares closed at $40.69 on Tuesday.